Do you know the power of promoting your company brand using high-quality products? You may have thought of it but then, shrugged the idea off due to the thought of having to buy expensive, high-quality products. However, this is not the case here; we deliver high-grade products at an affordable price to make it easy to host a successful campaign. They say little things that show that you care are the ones that can touch the heart compared to big and expensive irrelevant items. 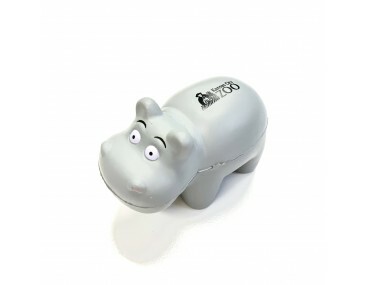 With that said, get this squeeze hippo branded with your company name and start a successful brand promotional campaign. This is the best tool to use when you are looking to reach out to a new market. The hippo is the best promotional product, and it comes with many features that can be used to reel in more clients towards your business. The product is of high-quality and can be used as a stress reliever. It is available at an affordable price hence allowing your business to have a flexible budget. There is a lot that you can benefit from this high-quality business. Get onboard and join millions of business in promoting your company brand to stay competitive. The delivery of products takes 2 weeks. There is a branding setup fee of $60 charged per colour print. One colour, one position print of your custom logo is included in the product price. Note that all prices exclude GST while delivery is only done throughout Australia.